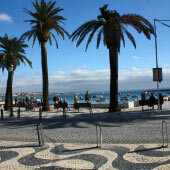 Estoril is a stylish beach resort that is located on the beautiful Lisbon coastline. Estoril is a trendy town boasting great facilities, glorious beaches and championship grade golf courses. The other major advantage of a holiday to the region is that there are many enjoyable day trips, all easily accessible from Estoril. 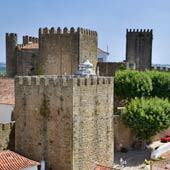 This guide will provide a brief summary of the popular day trips from Estoril and provide links to further in-depth information. Sintra is set amidst the cooling pine covered hills of Serra de Sintra and this pretty town exemplifies the 19th century “Romanticism” style of architecture. Sintra was a favourite with the Portuguese nobility, who constructed the gothic National Palace and the flamboyant Pena Palace, the highlight of Sintra. Other popular sights include the ruins of Moors castle, Monserrate Palace and the mystical gardens of the Quinta da Regaleira, while for the more adventurous there are challenging hiking through the hills of the Serra da Sintra. 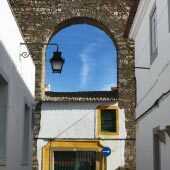 There is a lot to see within Sintra and it takes two days to fully explore the town, for a guide to Sintra please click here. Estoril is connected to Sintra by a direct bus and a guide to the 418 bus service can be found here. Lisbon is the historic capital of Portugal, and no visit to Estoril is complete without spending a couple of days discovering this varied and wonderful city. Lisbon offers outstanding tourist attractions, fine dining and lively nightlife scene - there is so much to love about Lisbon. 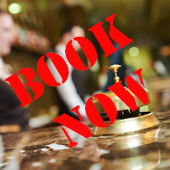 It takes around three days to explore Lisbon fully, and for a guide to the main sights and activities of Lisbon, please click here. The historic centre of Lisbon is based around the Baixa and Alfama districts, while to the east is the ultra-modern Parque das Nações neighbourhood. 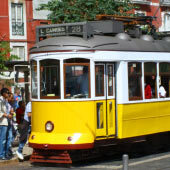 The entire city is connected by a quaint tram network, and this makes Lisbon easy to explore as a day trip from Estoril. 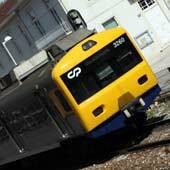 Lisbon and Estoril are connected by an inexpensive railway (€4.30 return), and it takes less than 30 minutes to be in the centre of Lisbon, for a guide to the train service, please click here. Cascais is pretty fishing town, which combines grand 19th-century architecture with traditional Portuguese charm. Cascais was a minor fishing port but found favour with the the Portuguese nobility and aristocracy who flocked to the town for the decadent lifestyle. This gave rise to the nickname of Cascais “the town of Kings and Fishermen”. Today Cascais retains this sophisticated and prosperous atmosphere, with stately houses, carefully maintained parks and interesting free museum. Cascais has a traditional charm not found in stylish Estoril and is a very easy day trip as it is only a 20-minute walk from Estoril. 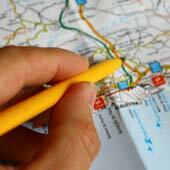 For a guide to Cascais, please click heres. The Cabo da Roca is the most westerly point of mainland Europe, and this exposed headland was regarded as the end of the known world up until the 14th century. Nature is the main attraction of Cabo da Roca with massive cliffs, raging seas and dramatic coastal formations. The Cabo Rocha headland is a beautiful and romantic location to watch the sunset, as the sun sets behind the expanse of the ocean. Cabo Roca could not be described as a day trip destination, only needing less than an hour to see fully, but there are great hiking trails which can extend a visit. The best hiking path is north from Cabo da Rocha along the cliffs to the beach of Praia da Adraga and this route passes the best viewpoint of the region. Cabo Roca is a 15-minute drive from Estoril and there is a bus service (route 403) that departs from Cascais bus station. Belem is a delightful district of Lisbon and contains some of the capital’s finest tourist attractions. Belém historically was the location for the capital’s harbours but was transformed by the wealth that flooded back from the Portuguese colonies. This trade funded the extravagant Mosteiro dos Jerónimos, Lisbon’s most impressive religious building, while the harbour was guarded by the delightful Torre Belem. Today the district is a pleasure to explore, with wide open parks and ornamental gardens that line the banks of the River Tagus. Belem should be visited independently from central Lisbon as the district lies to the west of Lisbon (closer to Estoril) and the Estoril-Lisbon railway stops in the district.To read further about Belém please click here. Two of the region’s best beaches are easily accessible from Estoril and are great for day trips. Carcavelos beach is the most popular of the Lisbon coastline and provides a massive beach of soft sand, safe and clean waters with great tourist facilities. Carcavelos beach has medium size waves suitable for body boarding and is also perfectly suited for families. Praia do Guincho faces the might of the Atlantic Ocean and is an ideal location for experienced surfers, as there are massive swells, which are regarded as some of the finest in Portugal. The beach lies within the Serra de Sintra National Park and the protected landscape provides the beach with a dramatic, unspoilt appearance. As there is an almost constant breeze and the strong tidal currents the beach is unsuitable for children or tourist who simply want to top up their tan. 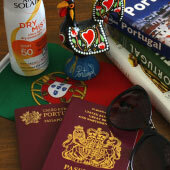 For a guide to the beaches of the Estoril region beach, please click here.